Mehmet Açar was born in Konya in 1963. After finishing Galatasaray High School, he graduated from the department of English Language and Literature at Bogazici University. From 1991 onwards, he worked in various periodicals and wrote film critics. His published stories in Hayalet Gemi (The Ghost Ship) were collected in a book named Anarchistic Lassitude in 1998. 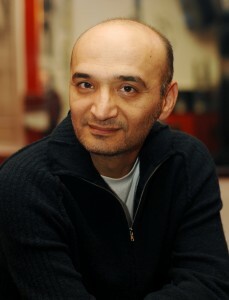 His first novel, The Sea of Dark Memories, was published in 2000, and his second novel, The Meaning of Life or The Adventures of Hasan Tütün of Akhisar, in June 2005. He works as the general editor of DIGITURK and gives lectures on film critics.